European Invasion: GT3 comes to America! Hooray for the six of us who enjoy World Challenge! : Jalopnik broke the news that the glorious GT3 spec race cars of Europe will be racing in the SCCA Pirelli World Challenge. What does this mean? 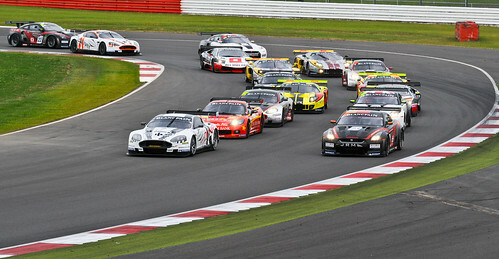 Which cars are GT3s? Who has the edge: the WC GT cars or the GT3s? Let’s start by introducing our new guests’ family. 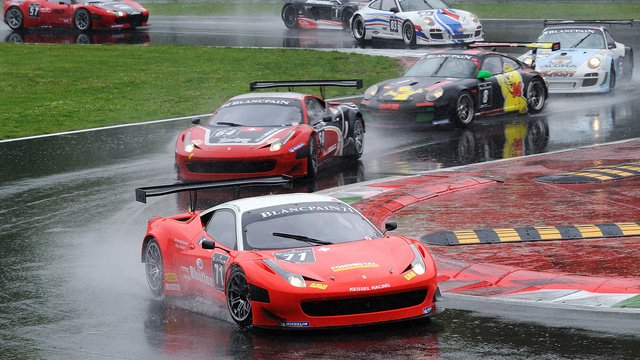 GT3 started out as a production based Pro-Am series, fielded by privateers in customer cars. GT1 (C6.R, DBR9s) and GT2 (911 GT3 RSR, M3 GTs) reigned above GT3 for several years, until some things happened. Notably GT1 breathing its last breath. Now GT3 has sub classes for pro-pro and pro-am drivers, and is raced all over the world in various series: British GT, SUPER GT GT 300, Grand Am GT and some others. Now that that’s covered, let’s talk about what kind of cars you’ll see in addition to the usual World Challenge GT fare. Where will they fit in? Who knows. As it stands we just know the GT3 cars are coming and the World Challenge cars will be legal in other series across the world. What may happen is they new cars will push the current cars out like they did in GT 300, which would be sad because the current cars are pretty cool. Or they may create a new class for them, or they might just all get along. Either way, we’re gonna see some awesome match ups. Lets take a look at the top two GT cars against the top two GT3 cars we end up with CTS-V.R vs. SLS AMG and S60 vs. 458. One is far more interesting than the other: the one with the Volvo. Why? Because the S60s have beat out 430GTs, R8s and 911s, so out gunning a 458 isn’t too far fetched. We’ll also get to see how Cadillac stands up to international competition, and then there will be McLarens against Lamborghinis and Aston Matrins. It’ll be like Forza or Gran Turismo or the SPEED channel, except in person and with other races! This is a golden age my friends.